I saw this post recently from one of my favorite bloggers and it was just the inspiration I have been looking for to take into Summer. 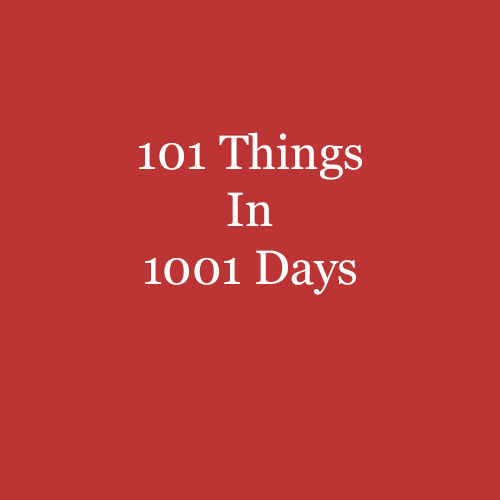 I love the idea of setting out to accomplish 101 things on my list in 1001 (2.75 years) days. I feel like it is a long enough timeline that I can really progress on my big long term goals and also add in some really fun ones too! What do you think about my list? I would love to know what would be on yours and please let me know if you do one of your own! Thank you so much for reading and check back tomorrow for Friday Five! Yayy - I know - let me know what you put on it! :) Love you!